If you thought Maruti Suzuki’s 50 per cent share in the Indian car market is abnormally high, more surprise is in store for you. After expanding its share from 45 per cent in 2014-15 to 50 per cent in 2017-18, the car major has not lost speed. The recent numbers show that the Suzuki-owned company is now inching towards a 55 per cent share as rivals struggle to keep pace. This will be its highest market share in India in at least two decades. Going by the current speed, Maruti looks well placed to exit 2018-19 with a share of 53-54 per cent, if not more. 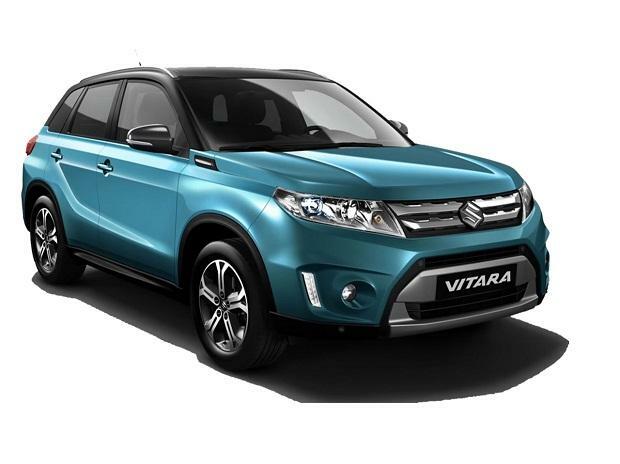 The data for the first two months (April-May) of 2018-19 puts Maruti Suzuki’s share at 54.50 per cent in the fast-expanding domestic passenger vehicle market, the fifth-biggest globally. 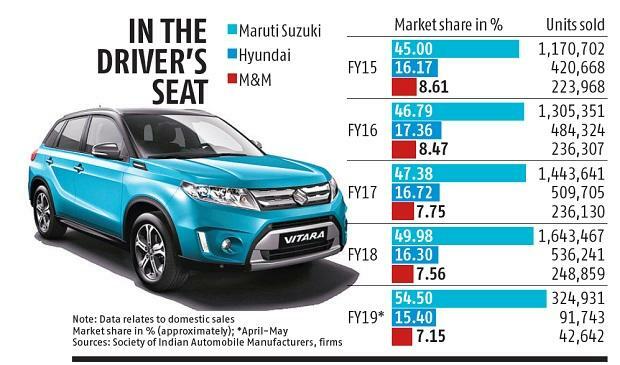 Maruti’s closest competitor and second-biggest player Hyundai now has a share of a little more than 15 per cent. The gap between these two top players is on the rise and Maruti Suzuki sells well over three times the volume clocked by Hyundai. The Korean carmaker is managing to post single-digit volume growth, challenged by capacity constraints as it is yet to take a call on another manufacturing facility in India. On the other hand, Maruti has seen its constraints ease after parent Suzuki inaugurated the Gujarat plant early last year, helping the company maintain double-digit growth. Y K Koo, managing director and chief executive officer at Hyundai Motor India, said early this year the company could not compete with Maruti Suzuki in volume, but it aimed to be a modern premium brand for the masses. Home-grown auto major and third-largest players Mahindra & Mahindra has a share of just above 7 per cent. The second and third player, along with others like Honda, Renault, and Nissan, have lost share. Even though companies like Hyundai have grown year-on-year, higher industry growth is resulting in a lower market share. There are about a dozen manufacturers operating in the Indian market, but only two have a double digit share and most others have sub-5 per cent share. In the case of Maruti Suzuki, some of the recent successful launches – the Baleno, Brezza, and the new Dzire and Swift - have helped it corner most of the market growth. Contribution of older models like the Alto and the WagonR has remained significant. R C Bhargava, chairman at the company, says these models have been ‘absolute hits’ in the market. “We are surprised with the response and had not planned for such volumes. Therefore, you had such long waiting periods”. The situation where the segment market leader controls over half the share is unique to India. In most top markets, the market leader has a share well below one-third. In China, the world’s biggest market, Volkswagen is the largest, with a share of approximately 17 per cent. In America, the second biggest, GM is leader with 18 per cent. In Japan, the biggest player, Toyota, has 28 per cent. Bhargava said Maruti Suzuki started its India journey in 1983 and had a clear edge over other incumbents who entered during the mid-Nineties. “The head start helped us spread our network and bring down the cost of ownership. Another difference between Maruti and the others is that parent Suzuki has been quite focused on India, now a key market for them. For the other global players, India cannot be the focus as there are much bigger markets to address outside. They need to design products for all the markets and not specifically for India. Resource allocation becomes a challenge in that case,” he said. In spite of the sharp market share gains year after year, Bhargava said the company cannot sit back and claim that the situation is not going to change. “You cannot assume this is going to be a permanent situation. All the players are doing their best to address the market. Some products click, some don’t. Market share is a reflection of successful products”. Besides the current incumbents, three new players — Kia, MG Motor, and Peugeot are getting ready to launch products in India over the next couple of years. It will be interesting to watch out who gains and who loses share when the number of players expands.